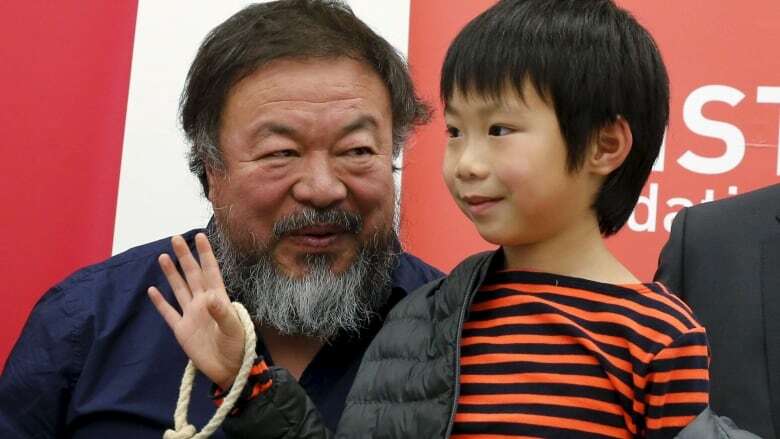 Ai Weiwei says he'll accept Lego donations from fans worldwide, at collection spots being set up in different cities, after the Danish toy-brick company refused to sell the activist artist a bulk order for a forthcoming artwork. The controversial Chinese artist, who helped design Beijing's Bird's Nest stadium, has been a vocal critic of the Chinese government, and has had his art installations exhibited worldwide. He said the Lego Group's response surprised him. On mobile? Click here to see the photo Ai Weiwei posted on his Instagram account. "I was flabbergasted as it was a perfectly respectable order," Ai said at a press conference in Berlin Monday. 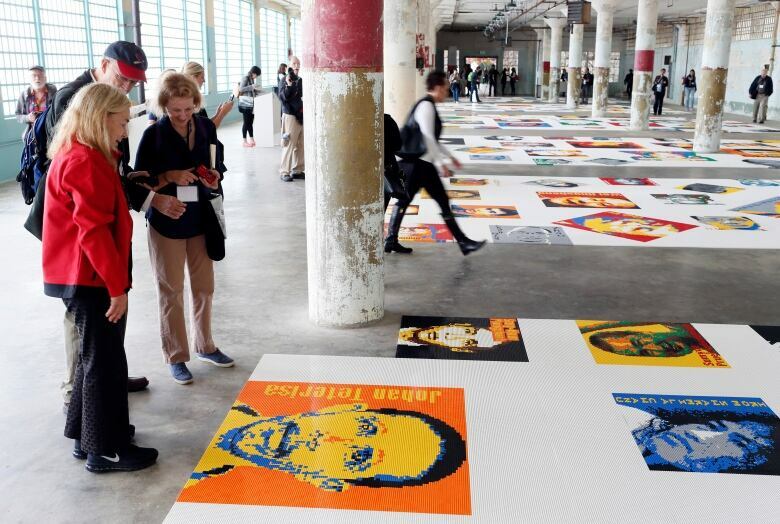 Ai previously used Lego pieces to create Trace, an installation depicting portraits of political activists such as Nelson Mandela and Edward Snowden, at an exhibition at Alcatraz Island, the former prison near San Francisco. For an upcoming show slated for the National Gallery of Victoria in Melbourne, his team requested to purchase a bulk Lego order for a "room-scale art installation" to highlight Australian activists and advocates of human rights and free speech. When the Danish company turned down his request, the social-media savvy Ai expressed his disappointment online and sparked a wave of outrage. He noted that Merlin Entertainments, the British firm that owns and operates Legoland theme parks, announced plans for a new facility in Shanghai last week during Chinese President Xi Jinping's visit to the U.K. Kirkbi, Lego's parent company, owns a percentage of Merlin. Fans blasted Lego for the decision and quickly began offering the artist their own bricks. "The internet is a place that is sort of like a modern day church," Ai said in Berlin Monday, at a press conference scheduled to discuss his guest professorship at Berlin's University of the Arts. "You go to church and complain to the priest about your suffering and everyone in the community can share in it and perhaps find a solution." Some have pledged to leave bricks at his currently running exhibition in London, while others began leaving bricks on a car outside his Beijing studio. #aiww#lego Going to Ai Weiwei exhibition in London during the week. Gladly bring a suitcase full of lego. On mobile? Click here to see the Instagram photo of a person dropping off Lego for Ai in Beijing. Lego representatives responded by noting that the company refrains "on a global level from actively engaging or endorsing the use of Lego bricks in projects or contexts of a political agenda. This principle is not new." If the company is made aware that the bulk product ordered will be used in a political context, "we therefore kindly decline support." Still, "we respect any individual's right to free creative expression, and we do not censor, prohibit or ban creative use of Lego bricks," spokesman Roar Rude Trangbaek told Agence France-Presse. <a href="https://twitter.com/danackerman">@danackerman</a> <a href="https://twitter.com/aiww">@aiww</a> It's a private company. They said he's free to use Lego, he'd just have to buy it from shops. According to the Lego Group's Acceptable Project Content guidelines, projects related to politics and political symbols, campaigns, or movements are not accepted. American Lego aficionados noted that this explanation was the response to a recent fan-proposed idea for a Lego set depicting the four female members of the U.S. Supreme Court. The company continues to sell sets depicting world political and historical monuments such as the White House and the Lincoln Memorial in the U.S. and the British Houses of Parliament. Ai has vowed to make a new work specifically in response to this new furor. "In response to Lego's refusal and the overwhelming public response, Ai Weiwei has now decided to make a new work to defend freedom of speech and political art," according to a post Monday on his Instagram account. Ai's activism and outspoken criticism of the Chinese government on a number of issues resulted in Chinese authorities destroying his Shanghai studio and detaining him for 81 days in 2011, purportedly over tax issues. The government has also prevented him from leaving the country by confiscating his passport for four years. Since his passport was returned in July, he has been travelling freely, including to the U.K. and Germany. Earlier this month, he announced he is working on a memoir, to be published in 2017. Ai Weiwei granted 6-month visa to U.K.